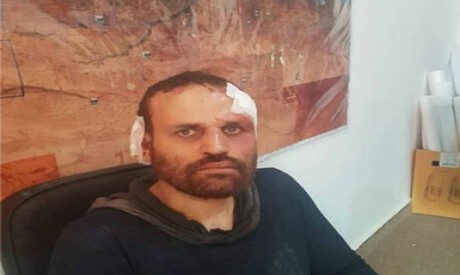 Libyan National Army (LNA) forces arrested Egyptian terrorist Hisham Ashmawi in the eastern Libyan town of Derna at dawn on Monday 8 October, during the course of a successful military raid. An Egyptian source confirmed to Al-Ahram Weekly that Egyptian authorities have been working closely with Libyan authorities since Ashmawi’s capture. “The extradition of Ashmawi should take place within a week. An Egyptian security team has already travelled to Libya to expedite the process. Documents relating to his handover have already been prepared,” he said. LNA Spokesman Ahmed Mismari confirmed that the extradition will take place after the Libyan prosecutor-general signals his agreement given that Ashmawi is also wanted in connection with terrorist crimes in Libya. “We are presenting a valuable gift to the Egyptian people, to the region and to all Arabs and Muslims,” said Mismari. Ashmawi was captured when the Osama Al-Atrash squadron of the LNA’s 106th Mujahfal Brigade launched a lightning strike in the mountainous area of Al-Maghar in Derna, taking Ashmawi and his cohorts by surprise. Ali Bahaa Ali, a terrorist operative of Egyptian origin, the wife and children of Omar Sorour, the mufti of the Morabitoun terrorist organisation who was killed in June, and the Libyan terrorist Marei Zaghbiya were all found with Ashmawi. Mismari told reporters Ashmawi was wearing an explosive belt but did not detonate it, and that the captured fugitives were transported in LNA armoured vehicles to barracks in Derna. Libyan political analyst Fawzi Al-Haddad told the Weekly the arrest of Ashmawi and his companions underlines the success of the battle to rid Derna of terrorism. Brigadier General Khaled Okasha, a member of the Supreme Council for the Fight against Terrorism, agrees. Security coordination between the two countries is at its highest level, he says. Other sources in Cairo believe Ashmawi’s handover will take place within a matter of days. They describe Ashmawi as a terrorist black box, able to provide a mine of information on terrorist operations in Egypt and abroad. Ashmawi, known as Abu Omar Al-Mohager in Libya, was a commander of Ansar Beit Al-Maqdis in Sinai. He travelled to Syria via Turkey in mid-April 2013, only to return to Egypt in June where he took part in the Rabaa Al-Adawiya sit-in. According to Ali Bakr, an expert on terrorist organisations, Ashmawi subscribes to the ideology of the Egyptian Jihad organisation, the predominant ideology of Al-Qaeda, and identified with the Muslim Brotherhood at the time of their overthrow in Egypt, viewing their expulsion from power as a threat to the wider terrorist agenda. From Rabaa Al-Adawiya Ashmawi moved to Libya where he formed a group beneath the banner of the Morabitoun, the North African-based organisation founded by Mokhtar Belmokhtar. His aim was to attract followers, money and notoriety as Al-Qaeda’s strongman in Libya, goals that were stymied by the complex configuration of terrorist organisations and militias in Libya, though he did attract a hodgepodge of Egyptian escapees from Ansar Beit Al-Maqdis, the Muslim Brotherhood, Al-Qaeda and the Islamic State. When Morabitoun decided to establish an emirate in Egypt Ashmawi dispatched a small group of disciples, including former Egyptian army officer Emad Abdel-Halim, to Egypt. Apart from the Libyan operative Abdel-Rehim Al-Mismari, who was arrested in Bahariya Oasis, all members of the group were killed. Instead of heading off to Syria or Iraq, Ashmawi continued to issue repeated calls for “jihad” against the Egyptian regime from his stronghold in eastern Libya. With the elimination of his disciples Abdel-Halim in Bahariya Oasis and Omar Rifaai in Derna, Ashmawi lost two of his most trusted lieutenants. Then came the arrest of Zaghbiya, one of the most dangerous terrorists in Libya, leaving Ashmawi’s organisation effectively neutered. There is a long list of terrorist operations for which Ashmawi has claimed responsibility, or in connection with his name as a suspect. The operations have targeted public figures, houses of worship, security headquarters and army and police personnel. In September 2013 Ashmawi, in collaboration with Ansar Beit Al-Maqdis’ then leader Tawfik Fereig, planned the assassination attempt against interior minister Mohamed Ibrahim, using a suicide bomber. He was implicated in the Circassian Arabs case and accused of planning and helping carry out the Farafra checkpoint massacre in July 2014 in which 22 Egyptian conscripts were killed. In July 2015 his name surfaced in connection with the assassination of prosecutor-general Hisham Barakat, attacks against army and security forces in Sinai and the bombing of churches in Alexandria, Tanta and Minya. Ashmawi’s was a relatively small organisation, but that did not stop it becoming a major terrorist player. Ashmawi himself had acquired military expertise as a commando officer in the Egyptian army before being discharged. As a member of this elite force he had received expert training in Egypt and the US, and would acquire additional expertise in the field, fighting with terrorist organisations in Syria where he went in April 2013 and, according to several sources, received training in the manufacture and use of explosive devices. Born in 1978, Ashmawi joined the Egyptian Military Academy in 1996. After he had graduated he enlisted with the infantry and then transferred to the commandos. While serving in the army he shouted at an imam for having made a mistake while reciting the Quran, arousing suspicions that he had fallen under the influence of radical Islamists. He was placed under surveillance and eventually brought before a military court which in 2007 transferred him to administrative duty. Three years later another court ruled that he should retire and in 2011 he was discharged on the grounds of incitement against the Armed Forces. For a year Ashmawi worked as a clothing, then as an automobile spare parts, salesman. During this period he began to form a cell of officers who, like him, had been dismissed from the army for religious extremism. They moved to Sinai and joined Ansar Beit Al-Maqdis, and Ashmawi soon became the group’s military commander. He was wounded three times in the course of counter-terrorist operations, once in Egypt and twice in Libya.